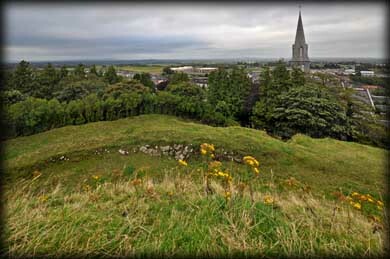 In 1199 the Anglo-Norman Lord, Richard Tuite (Anglicised from Risteárd de Tiúte) built a Motte and Bailey on a prominent hillside overlooking the town of Granard. Standing at 593 feet above sea level the summit offers superb views of the surrounding countryside. Apparently it was built inside an existing hillfort or monastic enclosure. 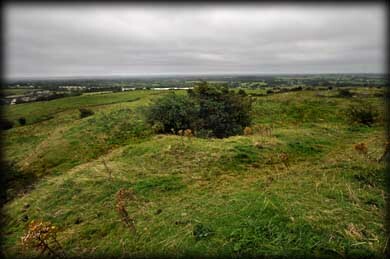 The sub circular mound is about 9 metres in height with a deep fosse at the northeastern side and a D-shaped bailey on the southwest side. Risteárd 'Dubh' Tiúit, Richard's son, probably founded the Cistercian monastery at Abbeylara where his father was laid to rest following his death in 1210. 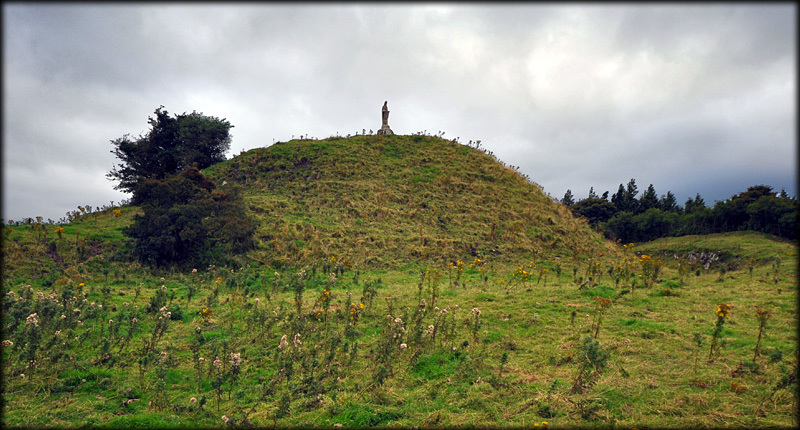 The site later became known as Rath Granard and may have acted as an inauguration site for the O'Fearghail (O'Farrell) Clan. Sean O'Fearghail, Chief of Annaly, who is believed to have died here immediately after his inauguration in 1475 was also interred at Abbeylara. The council recently put in a bid to secure the historic site for the local community. Situated: From the main street in Granard head southwest, as the roads bends left go right towards St Marys Church. We parked in the area opposite the church and walked up the small lane to the right of the church. Discovery Map 34: N 3299 8077. Last visit Sept 2012.